Philadelphia Eagles players Connor Barwin and Rodney McLeod recently stopped by an after school music program known as Rock To The Future to learn music lessons from students as well as to learn more about the program. The program provides free music education to underserved students in the Philly Area. Connor Barwin teamed up with 16-year-old student Alexus to learn about the piano, and Rodney McLeod tea med up with 16-year-old Jared to learn more about the drums. Connor Barwin stated "It's important to give kids a focus outside of school. Sports is a lot like music - you learn a lot about working with people and being in a band is like being on a team." Both students hope to one day pursue a career in music education. 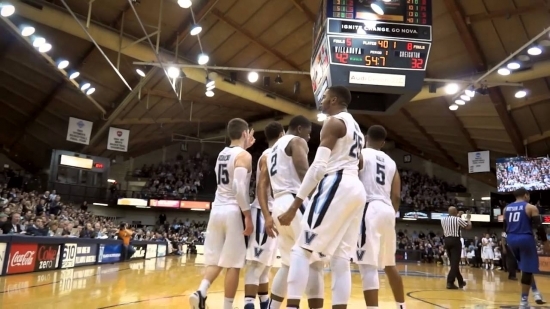 NCAA College Basketball Champions Villanova University are competing in a special basketball tournament this weekend. The Wildcats will take part in The Never Forget Tribute Classic, the tournament benefits The Families of Freedom which is a scholarship fund created to provide educational assistance for victims and victim's families affected by the September 11th attacks. Some of the families invited to the games were offered the scholarship to attend Villanova University. Paul Giorgetti a 2012 Villanova graduate stated "Just the fund in general is a great organization that has helped a lot of us get to where we want to be, without it, I don't know where I'd be."